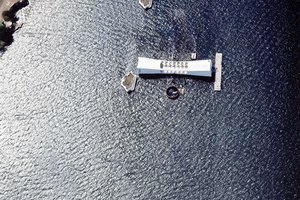 What Is the Meaning of a Flag-Draped Coffin? 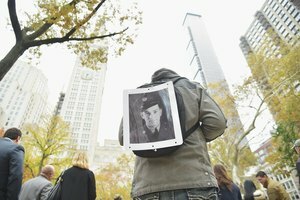 How Can I Return Military Dog Tags to Their Owner? Return dog tags to the Department of Defense to ensure the soldier's personal information doesn't fall into the wrong hands. The first known instance of dog tags was during the Civil War, according to the 173rd Airborne website. At that time soldiers sought to ensure that they were properly identified if they were killed in battle. Soldiers themselves decided to pin their names on their shirts or fashioned identification tags from pieces of wood they then wore around their necks. The 173rd Airborne website notes that it was not until 1913 that identification tags became mandatory. 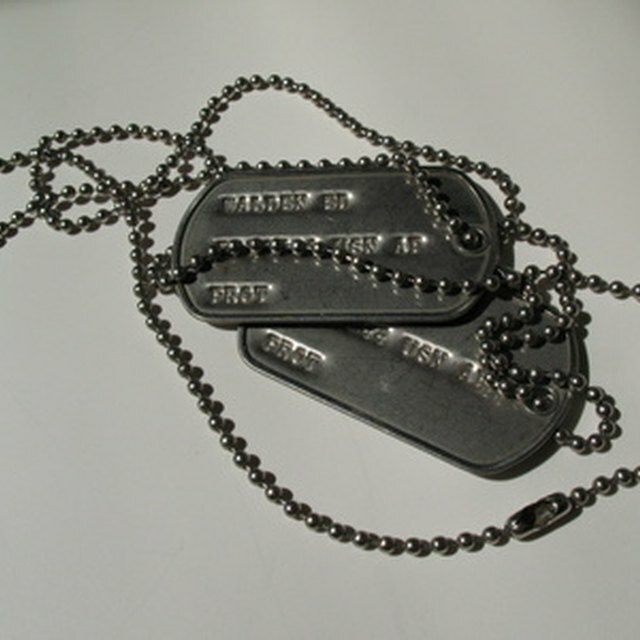 According to The American War Library, found dog tags aren't the property of the finder or the person identified on the tags. The tags still belong to the U.S. government. By law, all found military items must be immediately mailed to the Secretary of Defense. Write on a piece of paper where you found the tags, the date you found the tags, your full name and contact information. Place the letter and dog tags into an envelope. Seal the envelope and address it to the Secretary of Defense (see Resources). Include your return address on the envelope. Take the envelope to the Post Office to be weighed so you can pay the postage and mail it. 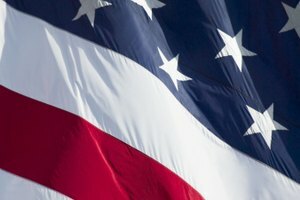 If you find tags outside of the continental United States, mail the tags to the nearest United States embassy (see Resources). The American War Library states that you shouldn't attempt to locate the owner of the dog tags or the owner’s family members for any reason. Jesa Lynn started writing over 14 years ago and writes primarily for various websites. She studied both criminal justice and psychology in college. Lynn has worked as a publicist and also in photo layout. She is a firm believer in self education and has pursued educating herself in several different skills and trades including automotive repair, business, creative writing and Web design. Lynn, Jesa. "How Can I Return Military Dog Tags to Their Owner?" 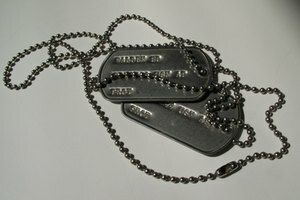 Synonym, https://classroom.synonym.com/how-can-i-return-military-dog-tags-to-their-owner-13583586.html. 04 October 2017. 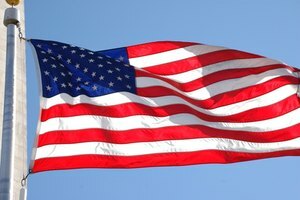 What Does the Blue Star Service Flag Mean?